You’ve Been Schooled…For Free Online! There’s nothing I love better than mastering a skill or gaining a new piece of knowledge. I find learning to be one of the few vices in life that are both addictive and good for me. Considering I often indulge in those other vices that aren’t really in my best interest, I try to get a big dose of education as often as I can. But here’s the catch: school can be really expensive. Most courses will set you back a few hundred dollars even if they only take a few hours to complete, and that’s only to pay for the privilege of sitting in the classroom. The cost can double (or worse) once you factor in miscellaneous expenses such as gas, parking, and textbooks. As much as I may love education, I’d much rather learn something new without having to break the bank to pay for it. Graduation season is upon us, which means that billions of snapshots are currently being added to family photo albums all over the world. As a student, one of the ways I paid the piper was by working at the university I attended. Come June you would find me handing out thousands of caps, gowns, and hoods so students could look the part when they walked across the stage to receive their degrees. 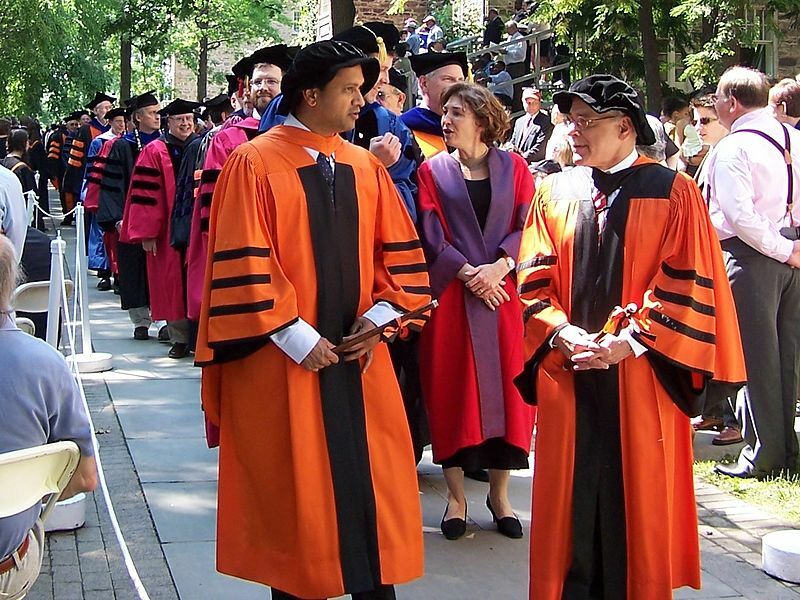 Spending that much time around strange robes and even stranger hats makes you wonder about the history of academic regalia. For instance, why do students receiving undergraduate and graduate degrees wear hats (mortar boards) that look like skull caps? And am I the only one who’s noticed that all grads look like monks?